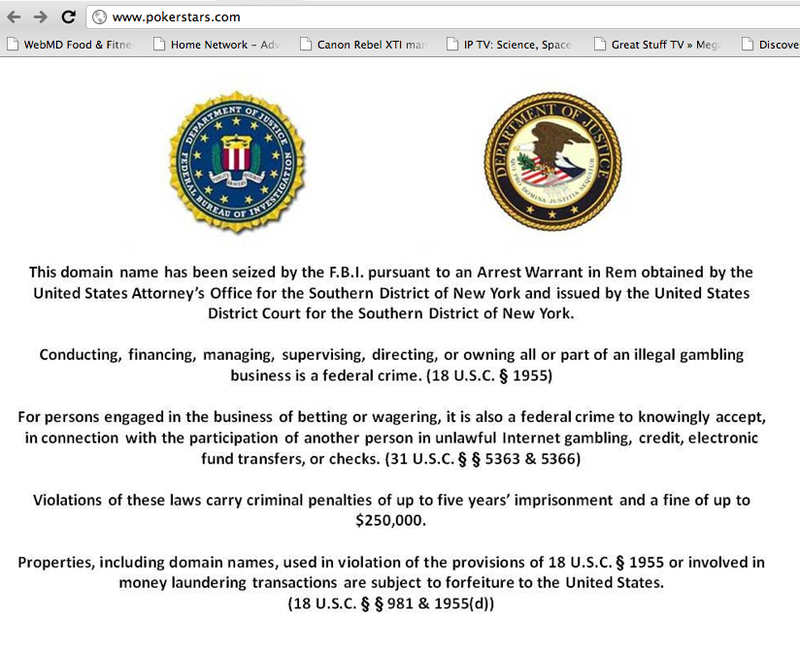 So in case you haven’t heard, some of the biggest online poker sites were shut down today by the U.S. government. Below is the message posted to Pokerstars.com, and the same can be seen at Absolute Poker and Ultimate Bet as well. It’s suspiciously similar to the shut down of media sharing sites like ninjavideo.net earlier this year. Amid the freezing of player accounts and charging of site owners, the real story here is how these sites got caught. Basically, these online poker giants were beaten by their own game. Not poker, but a clever form of money laundering. Boy genius and whistleblower Daniel Tzvetkoff was apparently involved in developing the software that has these sites in legal trouble with the IRS… and when he began to skim off the top (to the tune of an estimated $100 million) the online poker guys decided to sue him. To gain leverage, they tipped off the FBI to Tzetkoff’s travel plans and, when apprehend, Tzvetkoff spilled everything he could about the less-than-scrupulous online poker sites. It remains to be seen what will happen with the money users have frozen in accounts or the charges brought up against site owners. However, as of right now I am still able to access my Pokerstars.net account, play real money, and presumably cash out. It will be interesting to see if online poker goes the way of the torrent and fileshare sites… but you have to admit, getting caught by being ratted out to the Feds by an inside is perfectly appropriate for a gambling site; or maybe a movie about the interweb Mob? As you may have heard, due to recent developments in the USA, we had to make changes to our website address. We have moved the PokerStars website to www.pokerstars.eu. Our Support email address has also moved to support@pokerstars.eu. These developments do not have any impact on your ability to play real money games and tourneys on PokerStars – it is business as usual for all players outside the USA. Sit & Go’s, Multi-Table Tourneys and cash ring games at all stakes and limit types are running normally. You can rest assured that player balances are safe. If you have any further questions, please contact us at support@pokerstars.eu. In the meantime, please continue to enjoy playing our games! We thank you for choosing PokerStars. Find the Poker Star in you! This entry was posted in Uncategorized and tagged absolute poker, corina, FBI shut down, full tilt, online poker, online poker shut down, poker, pokerstars, ultimate bet. Bookmark the permalink.